This is a tough race but it looks like a really good event. Tanaya Gallagher marathon record holder with time of 3:19:38 in 2013 takes first place with a time of 3:19:39 after having surgery a month before the race. Darren Burr wins the marathon second year in a row beating his time by 3 minutes. Folts' brothers and their wives finish in top 3 places. 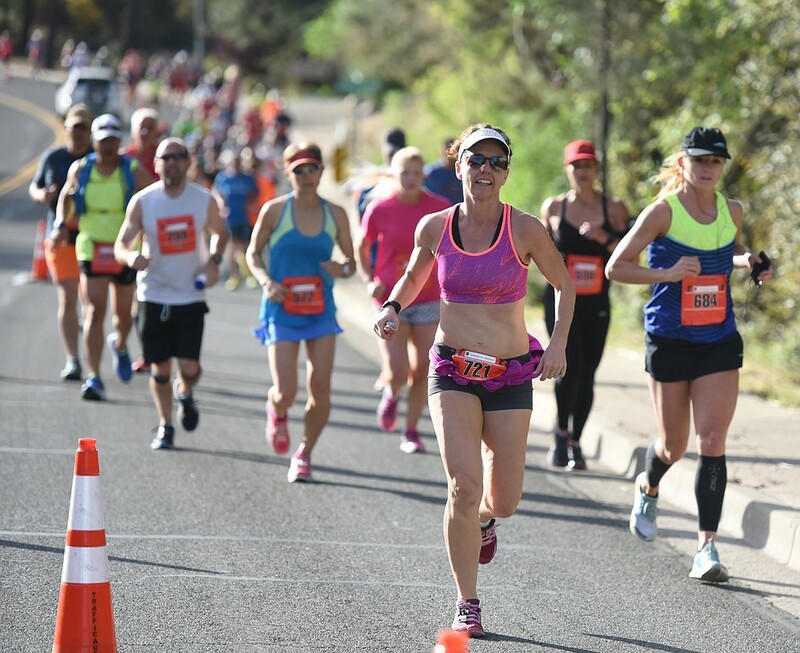 Starting and finishing in historic downtown Prescott, home of the famous Whiskey Row, this marathon course is considered one of the most difficult in the U.S., offering panoramic views of Northern Arizona. Starting at 5,280 feet, the elevation increases at 7,000 feet at the 13 mile turn around. The course is paved and dirt road. You may walk or run any of the events. 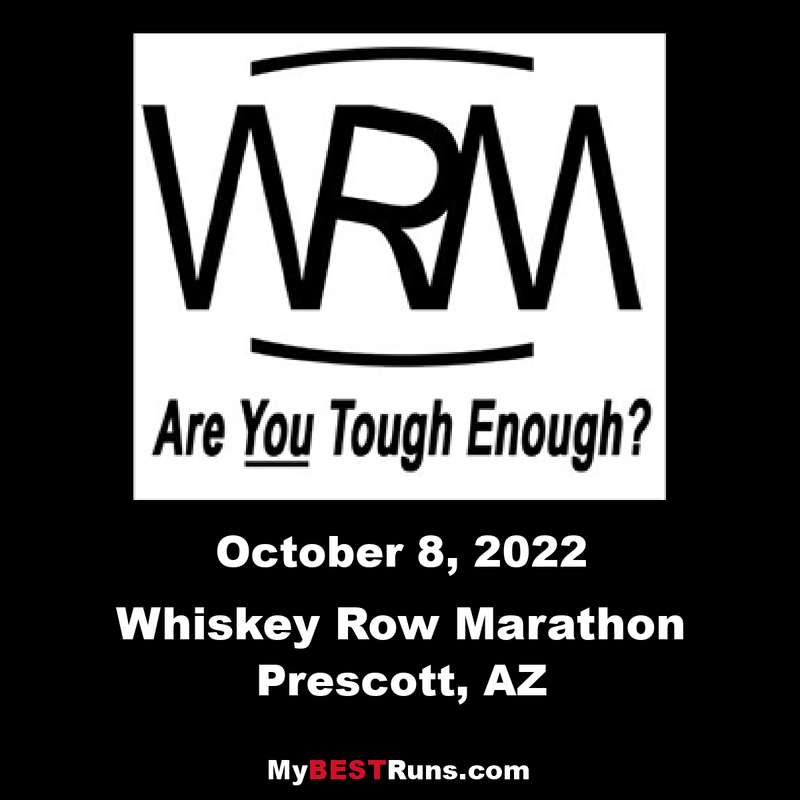 As an Arizona running tradition for 98 years, the Whiskey Row Marathon is among the toughest races in the country. Featuring rugged terrain, an altitude in excess of one mile above sea level and, on occasion, severe weather, it’s challenging, fun and offers a number of running routes for runners of all skill and fitness levels, including a half marathon, a 10k and a 2 mile run/walk. Come join runners from all over the county in this prestigious event – and show your friends and family that you were "Tough Enough"! This out-and-back course is considered one of the most challenging in the United States. Starting at 5,280 feet, the elevation increases to 7,000 feet over the first seven miles, then down to 5,600 feet at the 13-mile turn around. 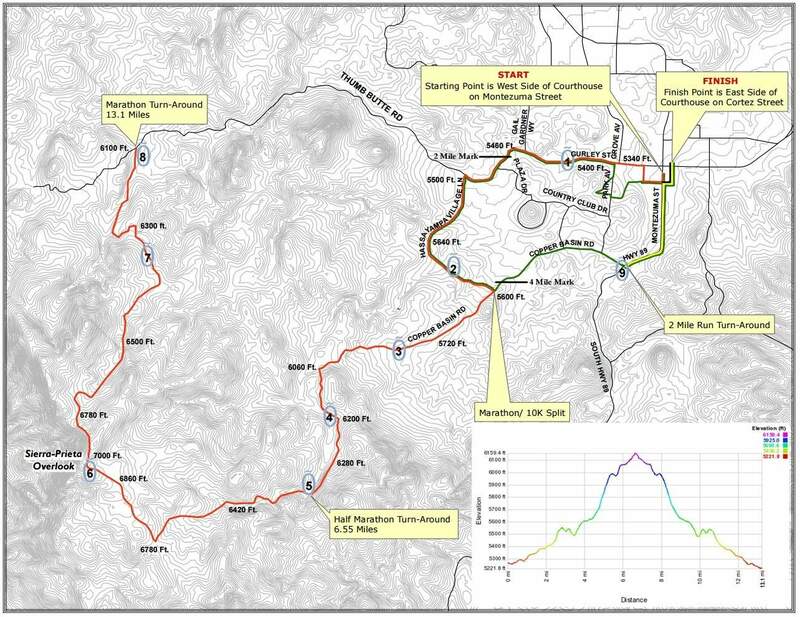 The course is paved road for the first and last five miles, while the rest of the running route is a trail race on a dirt road maintained by the US Forest Service.